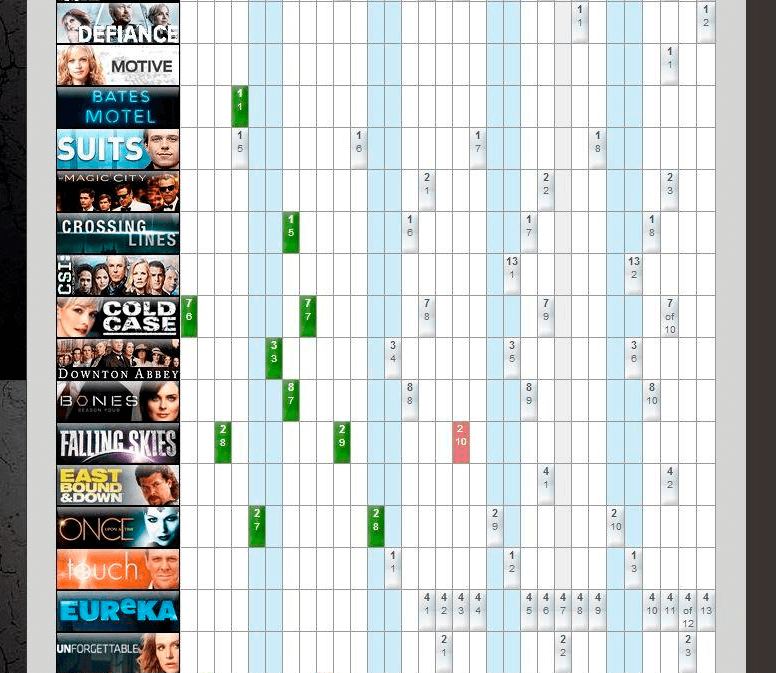 TVStore.me / TVStore / TVS – is a good ratioless Hungarian private tracker with English content, which mostly has different television stuff. The most common types of material are TV series, cartoons, anime series, and more of TV. Under the “Download” menu you can find the torrents. These have a little picture (icon) before their names that show the type of torrents. 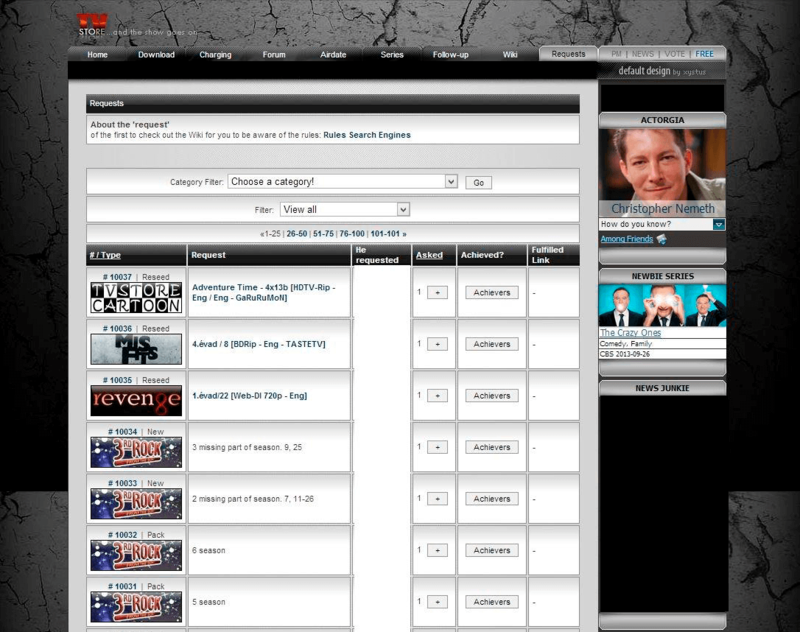 And here is more information from the torrent: size, speed, seeder/leecher, date of uploading, uploader. 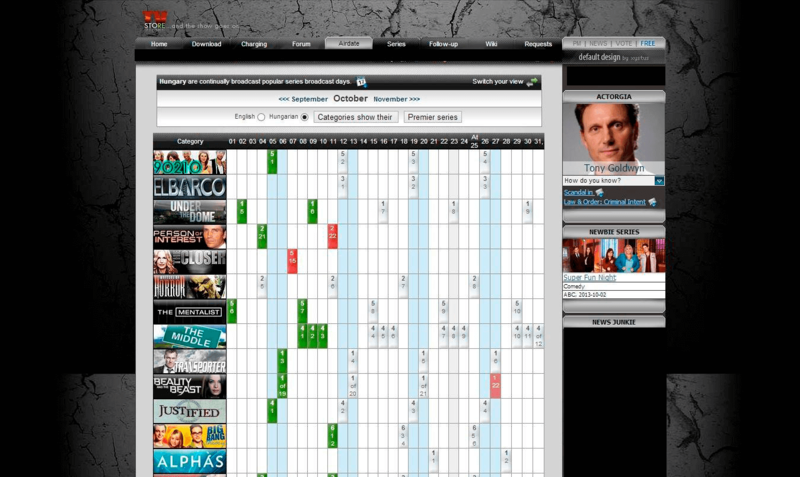 On the “Airdate” menu is a calendar, this show the next episode of the series in the TV. So, generally TvStore is a very good tracker, especially for those who like to watch tv series! 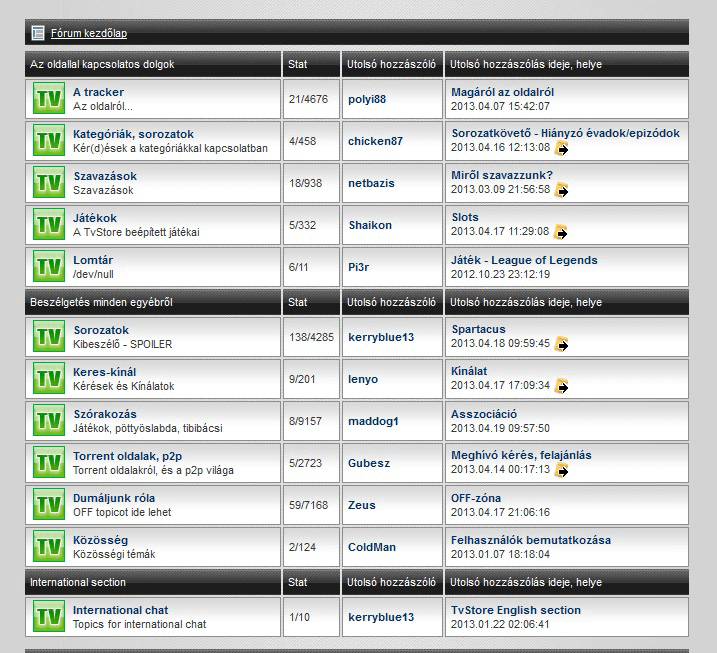 The torrents are very good, and you can really find series, that are looked for since 4 years! Classic and modern series are equally! Also the community is very good and active!